Birding Accessories are useful items like Bird Seed Catchers, Bird Seed Container, Bird Seed Scoops and Window Bird Feeder Hooks. 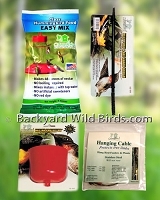 Kits include: Bird Feeder Accessories, Bird Feeding Accessories and Hummingbird Feeder Accesories Kit. Bird Feeder Accessories Kit includes 2 brushes and a bird seed scoop. Large 32 Qt. 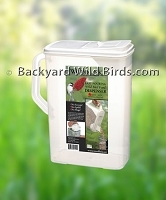 Bird Seed Container and dispenser with built-in spout. 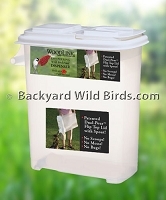 Convenient storage container for sunflower seeds and wild bird seed mixes. Bird Seed Dispenser is an 8 Qt. 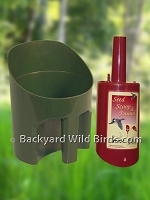 Bird Seed dispenser with spout to pour seed directly into feeders. 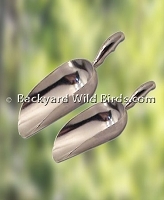 Bird Seed Metal Scoops is two of the most popular bird seed scoops to fill bird feeders. Bird Seed Scoops has a Seed Scoop/funnel and a Big Dipper scoop for bird seed. Great to help the refilling of bird feeders easier. 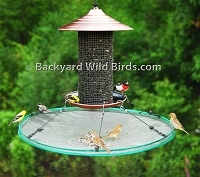 They can be used with all common seeds and feeders from small tube bird feeders to larger open mouth feeders. 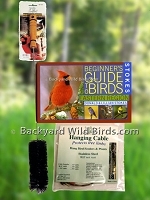 Best Hummingbird Feeder Accessories Kit includes Ant Guard, Feeder port Brush, Hanging cable and 8oz Nectar.